Hi! 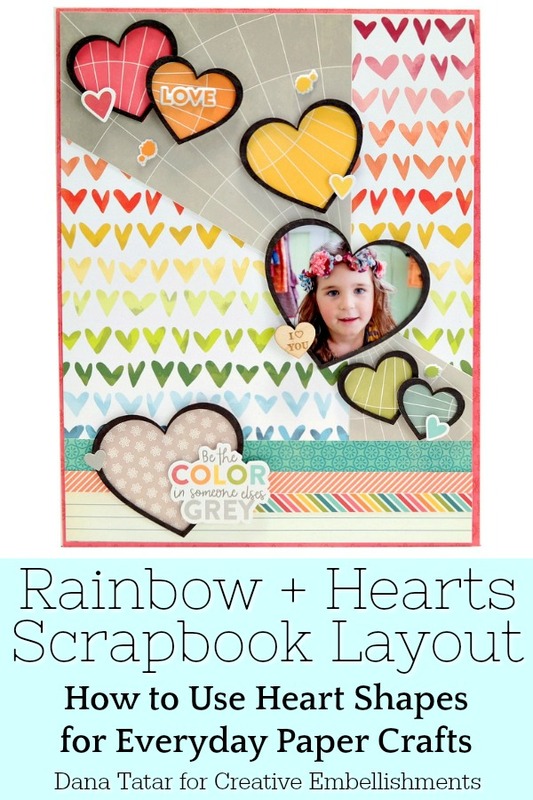 I'm sharing a rainbow scrapbook layout featuring Nested Chipboard Hearts for Creative Embellishments today. 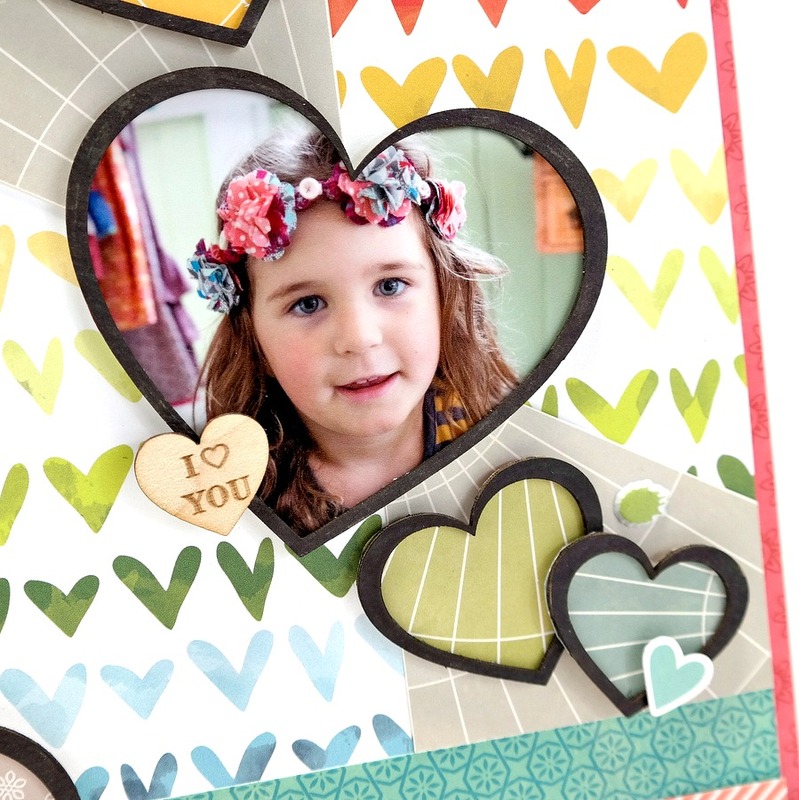 The month of February is all about love, but hearts make great embellishments year round. I found inspiration in a die-cut that I used for the title of this page. I incorporated colors of the rainbow as well as grey, to coordinate with the title, and also black for contrast. I simply colored the chipboard hearts with a black sharpie to make high contrast frames. Then, I backed each heart with patterned paper and trimmed away the excess. I attached the hearts to the page using Thin 3D Foam Squares and 3D Foam Squares in ROYGB order over grey patterned paper to symbolize the rainbow in the grey, which is the uplifting message of this layout. 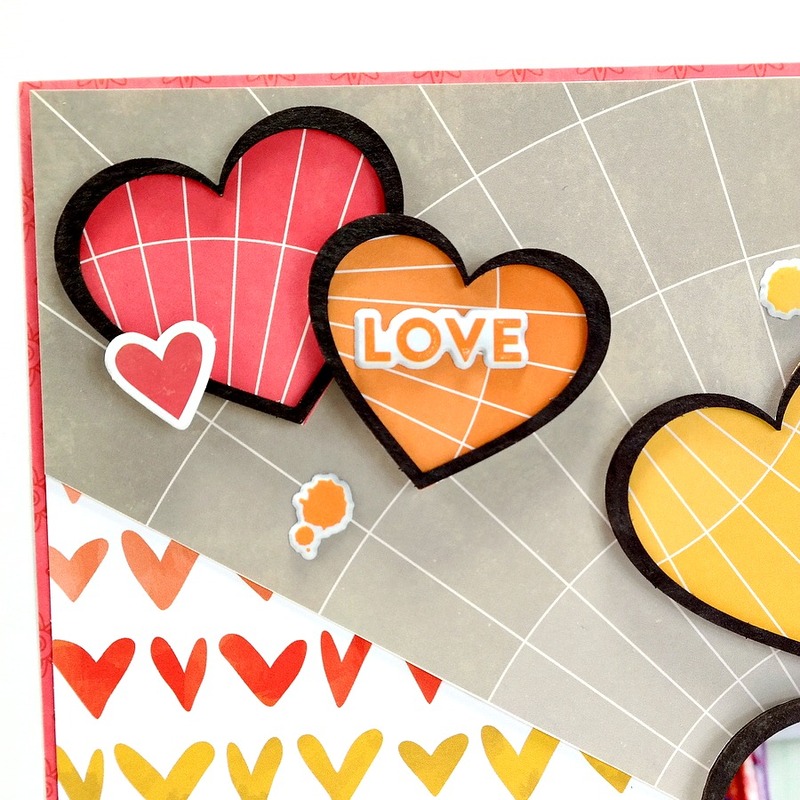 Next, I added die-cut hearts and puffy stickers in and around the colored chipboard hearts. I used the largest heart from the nested set for a photo frame, and added a Wood Veneer Conversation Heart to the edge. 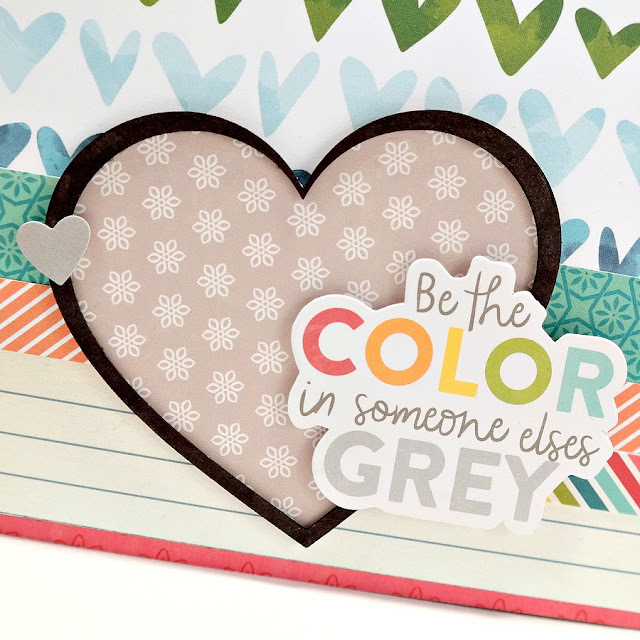 I added grey patterned paper to a chipboard heart to use as a title spot for the die-cut sentiment and complementary grey die-cut heart. Finally, I added lined patterned paper along the bottom of the page for journaling. I absolutely love how this layout came together! All the color makes me so happy. The Nested Heart Shapes are just 1 of 9 fantastic Nested Chipboard Sets. Stop by the Creative Embellishments Store to check out the rest. Ohhhhhhhhhhhhh this is GORGEOUS! I am LOVING all the hearts!!!!!!! !